Situated in the heart of the Old Hyderabad, near Charminar at Etaber Chowk, is hotel Al-Sharif Palace. 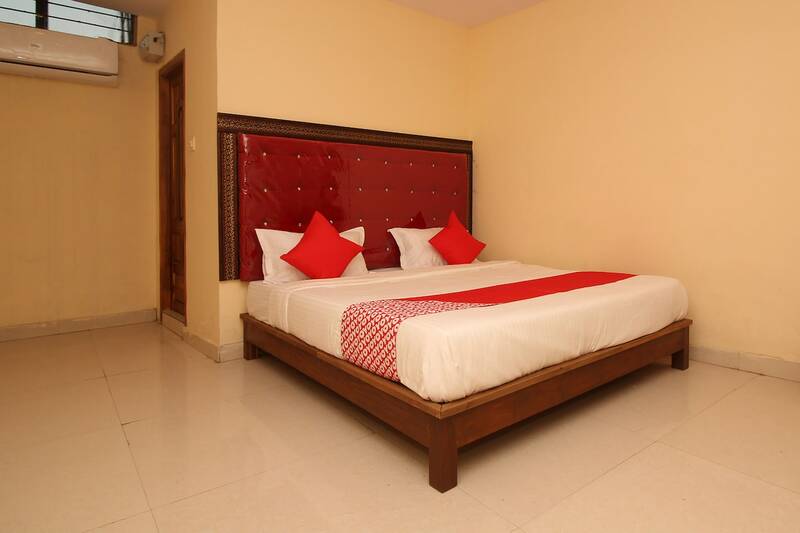 The hotel is closer to Begumpet Airport and Dabeerpura Railway Station. It also has Charminar, Salar Jung Museum, and Mecca Masjid nearby. The hotel boasts a big and well-lit lobby, reception area, and the wall-through passage. The cozy rooms set off a subtle creamy tone with royal taste wooden furniture. Basic amenities like AC, TV, Wi-Fi, can be enjoyed in all the rooms. Other amenities include an elevator, parking, and CCTV security. All the bathrooms have geyser facility. The rooms also offer a warm seating area. Local delicacies can be enjoyed at the nearby Restaurants like Nimrah Cafe, Govinds Dosa, and Pista House.